Spc. Reimer and Howard check a passing van as SPC. 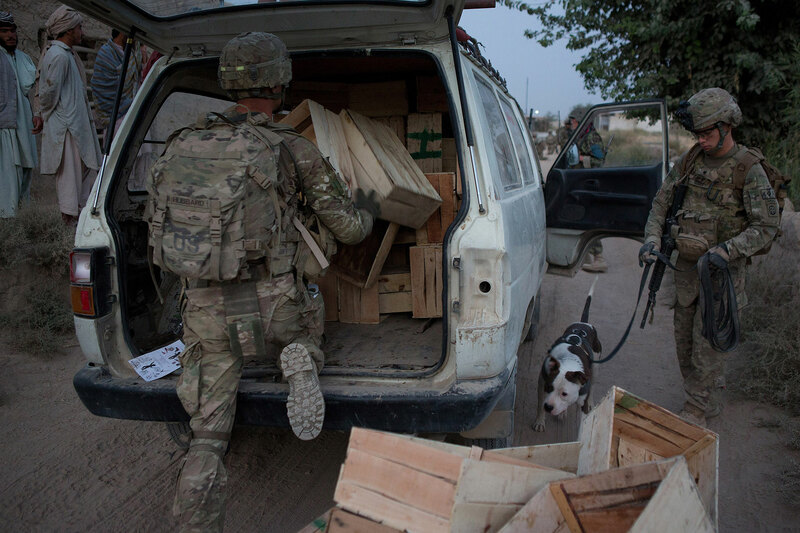 Jeremy Hubbard, left, of 2nd Platoon, Bravo Company, 2-508 Infantry, searches it's contents in Zharay District, Kandahar Province on Tuesday, August 7, 2012. Reimer monitors Howard's behavior during the search, which can indicate the presence of explosives. “He’s got his own personality, after working with Howard for so long, you kinda pick up on the little things he does” Reimer said.